I wasn't born good at all the things I can do now. I became good because I was given the opportunity to practice until I got better (that's just how capacity is built). If we don't give our children the opportunity to practice, they simply will never get better. The funny thing about building capacity is that its best to introduce new skills right before they can really do them. This puts a new skill just outside their reach. They feel excited by the new responsibility and will work tirelessly toward getting there (and then they do). If we wait too long, the child will simply lose interest and in the process of not doing it, may have learned that it really IS easier if the parent just did it (so why should I bother?). This complacency is very frustrating to deal with as a parent when you have a child you know is very capable of doing the thing you want them to do and yet they refuse to do it. Preparing your space before your child uses it will pay dividends in the child's success. Here are some ideas to get started. 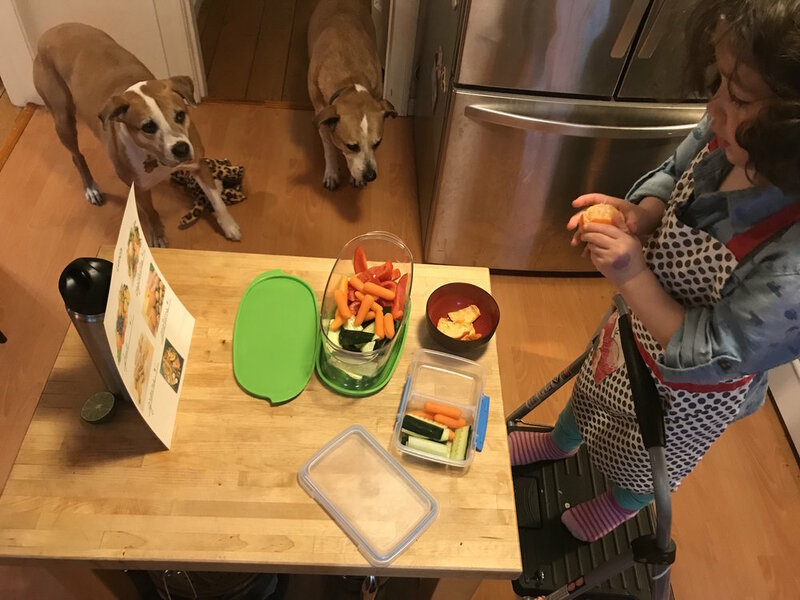 Having a few low shelves or drawers accessible to the child can help a lot with them taking ownership of their space and preparing their lunches! 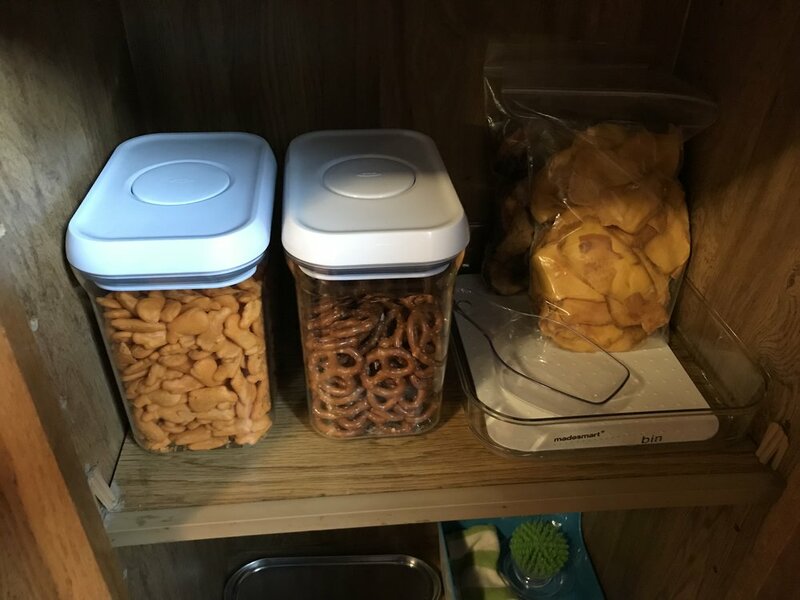 These can include containers with easy lunch choices (I like having crackers or dried fruit) in addition to child-size tools like wavy choppers, small spreading knives, cutting boards, whisks, and spatulas. Having a low space in the refrigerator with some easy to find (and easy to use) materials can really help the child make their lunch independent of the adult! A tray with a few spreads and a vegetable container with some cut and prepared vegetables can make packing much easier for you and the child! The most important part of a lunch container for a child is whether or not they can open it themselves, so the first thing to do is to take your child to the store and have them try to open various containers. You'd be surprised at home many containers are actually pretty difficult for a 3 year old to open (which can make packing the lunch a bit of an obstacle!) I've liked snap lid containers so the child can unsnap each side to open them up, but it's always good to have a space at the child's level ready for them to use! A Lunch Bag or Lunch Box? 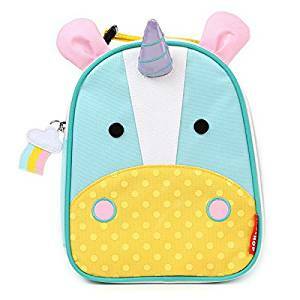 I tend to lean toward a lunch bag because lunch BOXES tend to be packed one way and then carried another way (so the containers inside end up being carried sideways which can make things unnecessarily messy). Lunch BAGS on the other hand are packed the same way they are carried so the containers (and their contents) stay in place. Ok, so now your space is ready for the child to start packing their own lunches (hooray!) and the question is...how do I start? To have healthy eating habits, we want our child to make healthy choices. But if we let them choose whatever they want, they will likely want to pack their lunch full of cheese and chocolate. This is where it's important that the adult controls the universe of options the child chooses from. After all, they can't eat what isn't available! Once you have a universe of options that meets your stamp of approval, the child can really make their own choices! Have your child pick the main food they want for lunch (we choose from sandwich, salad, pasta, quesadilla, or a wrap). Based on what they chose, we look at the chart to see if they have fulfilled 1 of any of the categories (they need all four to be done!). So, for example, if they choose a PB & J sandwich for lunch, that means they already have 1 grain (the bread) and 1 protein (the peanut or other nut-butter). Guide your child to choose the other categories not yet complete (in the PB & J example, it would be fruits and vegetables (instead of crackers or cheese). Whereas, if they choose a salad (it is possible! ), they could opt for pretzels or crackers because they don't have a grain yet. As needed, you can help the child build their skills (how to use a spreader or peel an orange), but remember: the more they do, the more they can do! Clean up! By having some basic materials like a sponge or compost available for the child, they can clean up their space after they are done. And there you have it! This is a great routine to do the night before as mornings can often be rushed! 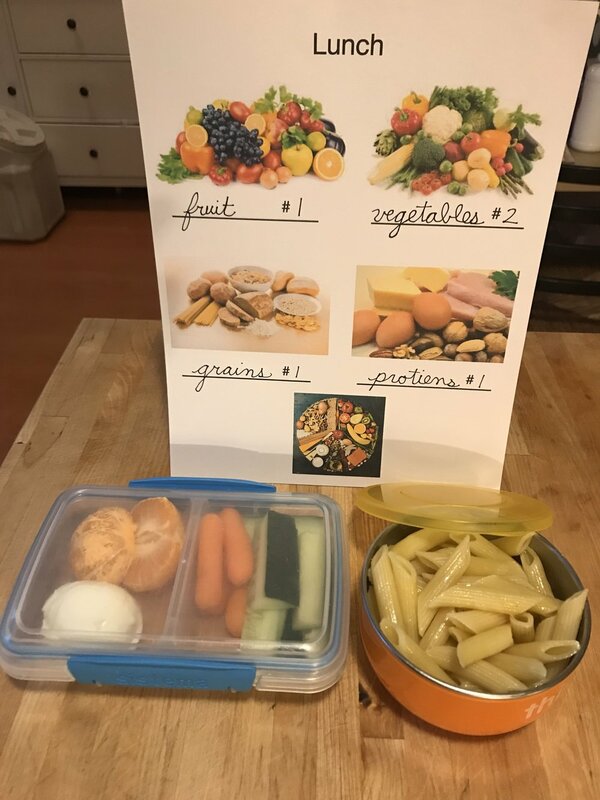 By carving out time and space for your child to pack their own lunch, it will not only help you down the road (yes, you won't have to do this anymore at some point! ), but it is a tremendous aid to their self-confidence and to their development. The child between 3-6 is undergoing some remarkable advances in their executive functions - the parts of the brain that plans and sequences (among many other things!). When we give our child the opportunity to plan and execute parts of their day, their brain gets stronger! These skills will directly support the child's academic pursuits (as reading and math are hinged on sequencing), but also social competency as well (considering the feelings of others or creative problem solving are all supported by strong executive functions). From my kitchen to yours, happy packing!